Cloud Eaters on display at the Saatchi Gallery. 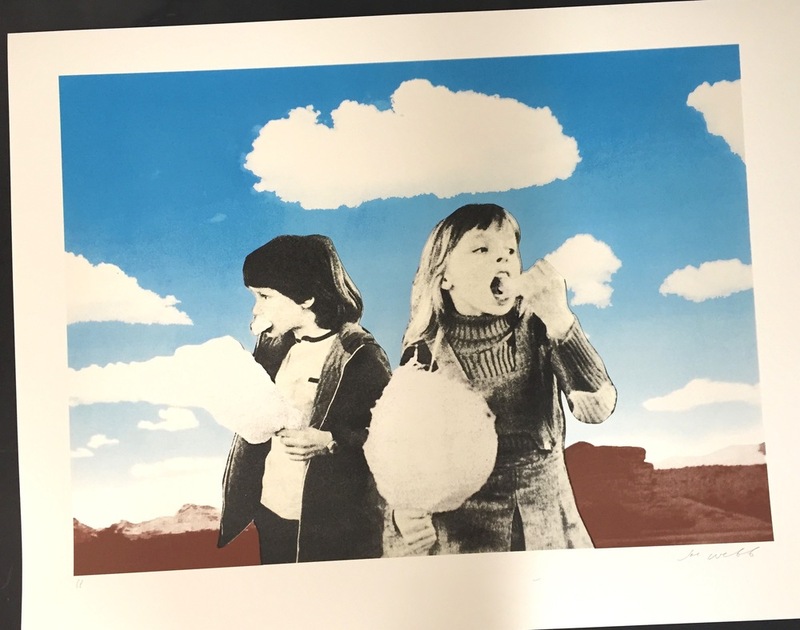 A 6 colour print for collage artist Joe Webb for his exhibition 'Sweet Armageddon' at the Hang Up Gallery in Stoke Newington. The first colour to be printed was a stunning pearlescent, which sits underneath the other 5 colours. The fine halftone dots combine to make the gradient of the blue sky, comprised of 2 complimentary blues.